Documentary. David Olusoga traces the bitter propaganda war waged between the pro-slavery lobby and the abolitionists. Historian David Olusoga continues his examination of Britain's forgotten slave owners. In this episode, David explores how in 1834 the government arrived at the extraordinary decision to compensate the slave owners with the equivalent of £17 billion in today's money. Tracing the bitter propaganda war waged between the pro-slavery lobby and the abolitionists, he reveals that paying off the slave owners for the loss of their human property was, ultimately, the only way to bring the system to an end. Meticulously kept records held at the National Archives detail the names of the 46,000 slave owners from across the British empire who had a slice of this vast handout. 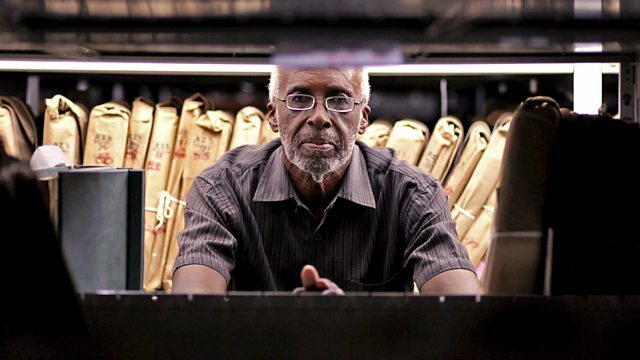 Combined with new research, shared exclusively with the BBC by University College London, it reveals more about Britain's slave owners than we've ever known before. Of the 46,000 names in the 1834 compensation records, 3,000 lived in Britain, yet they owned half of the slaves across the empire and pocketed half of the compensation money. These include members of the clergy and of the House of Lords. The records also show that at the point of abolition, more than 40 per cent of all the slave owners were women. David goes on to investigate what happened to the wealth generated by the slave system and compensation pay out. He reveals aspects of Britain's spectacular industrialisation in the 19th century, the consolidation of the City of London as a world centre of finance, and a number of the country's most well-known institutions that all have links to slave-derived wealth. Ultimately, David discovers that the country's debt to slavery is far greater than previously thought, shaping everything from the nation's property landscape to its ideas about race. A legacy that can still be felt today.